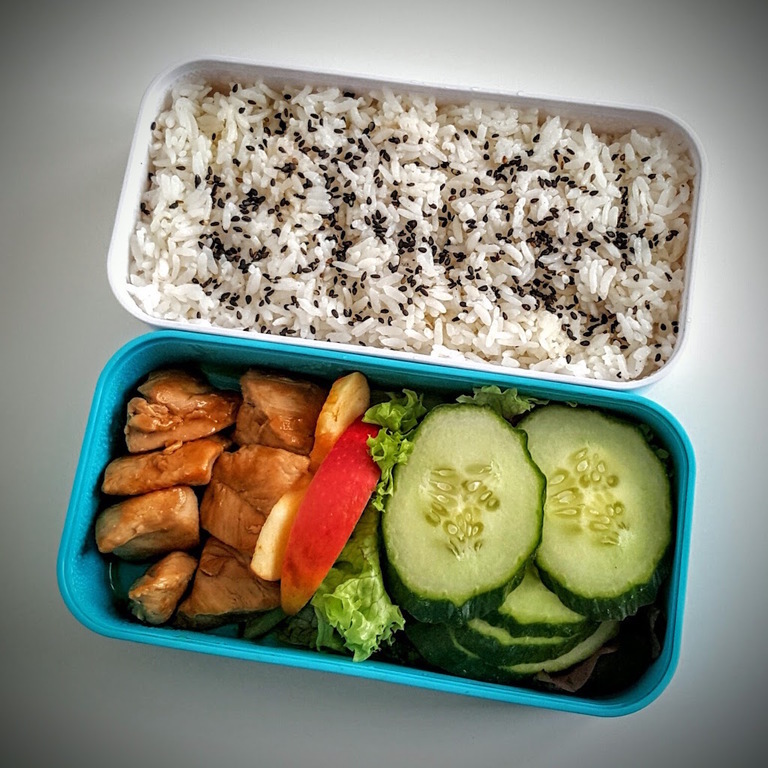 You can prepare other ingredients while rice cooks, then fill the rice container with hot rice, then sprinkle with black sesame seeds. Slice the chicken breast into cubes and fry on a high heat until golden-brown on both sides (flip the meat every few minutes); you can cover the pan to speed up the cooking process. 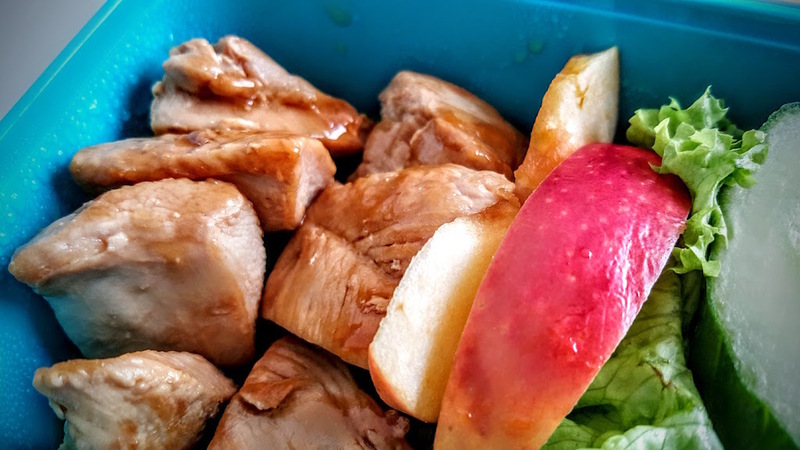 When chicken is cooked-through and golden-brown, pour 2-3 spoons of teriyaki sauce over it and reduce heat to medium, stirring and rotating the meat to be browned and glazed by the reduced sauce, best under the cover. 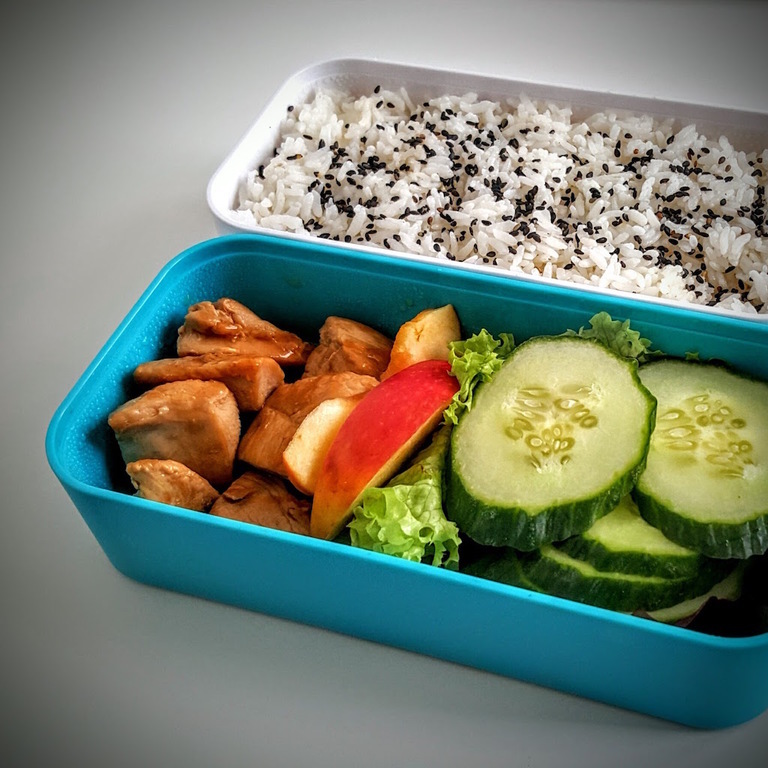 Fill the container with lettuce and place other vegetables and fruit on top of it, leaving some space for the chicken. Place the chicken bits in the remaining space and pour sauce of them. You can break the rules and pour some sauce over the rice to make it juicy and aromatic.